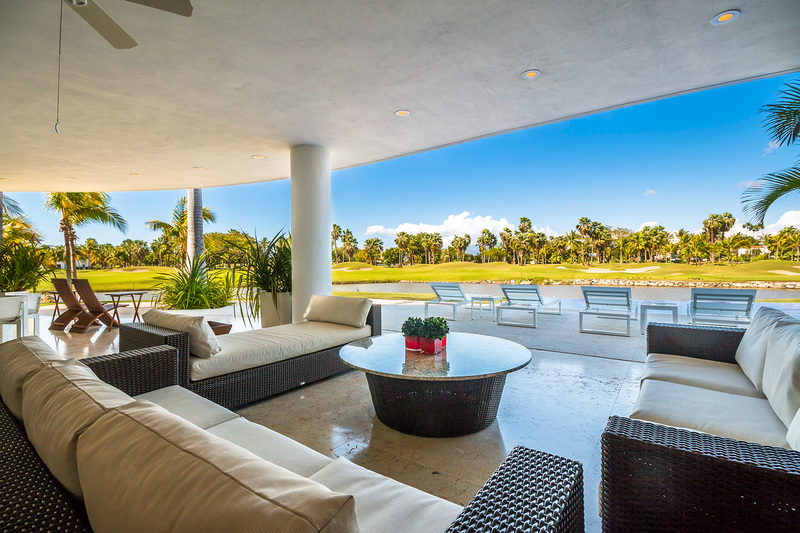 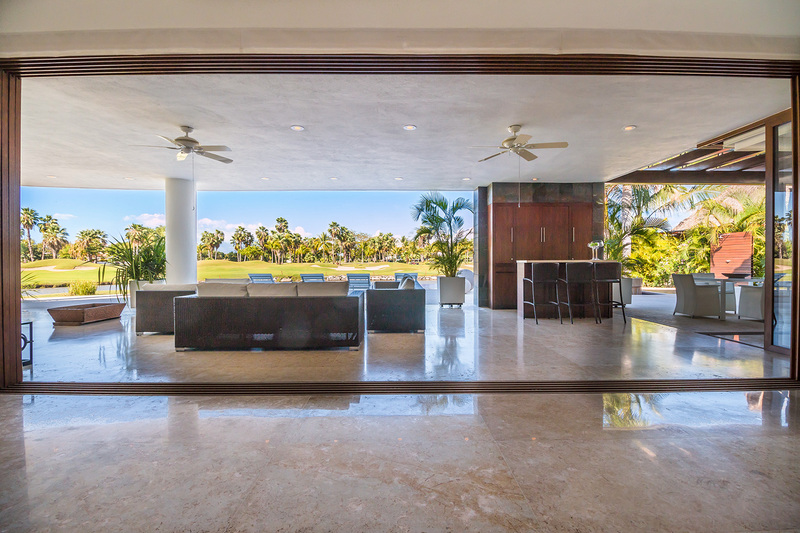 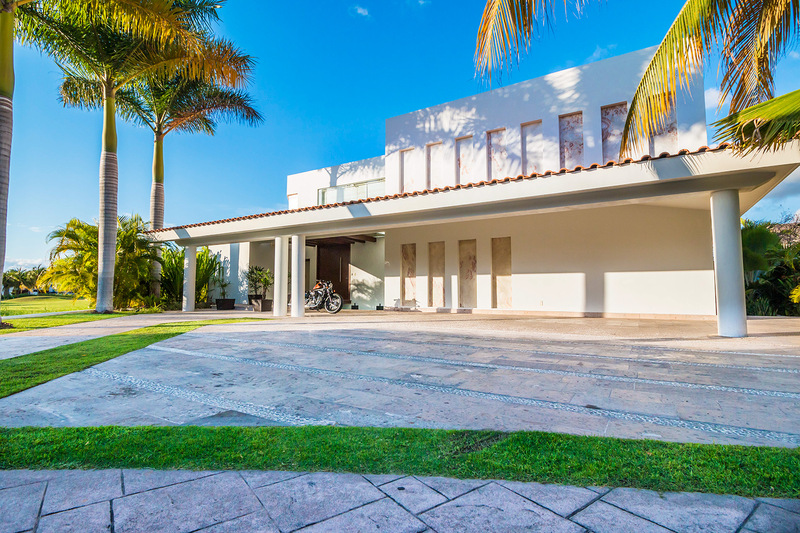 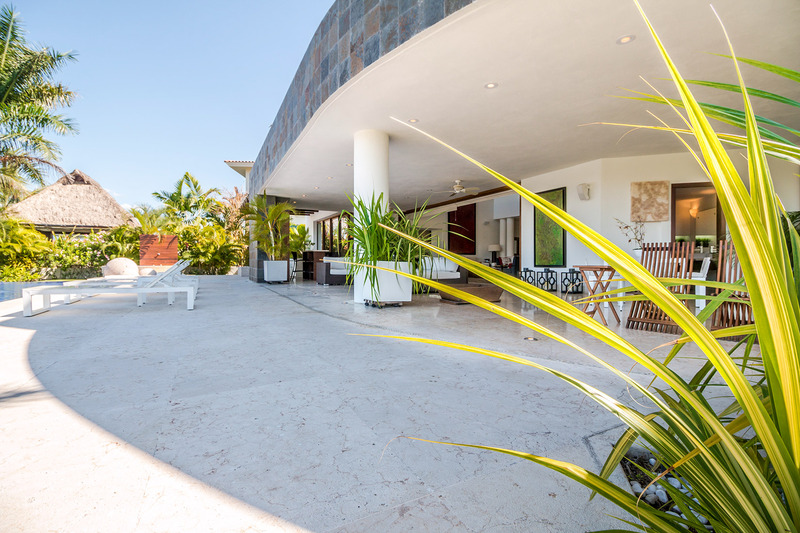 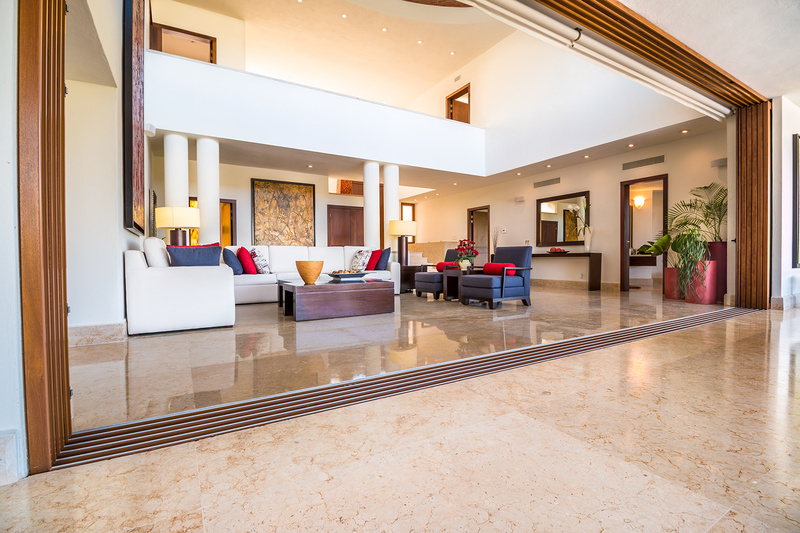 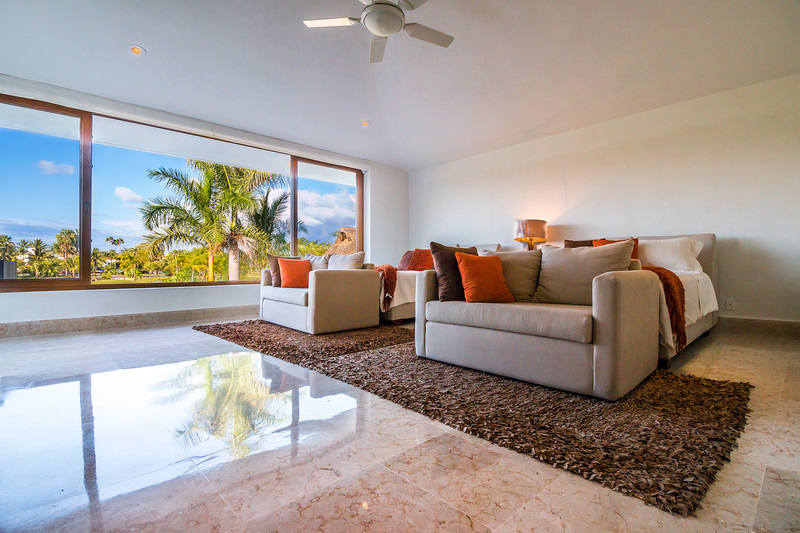 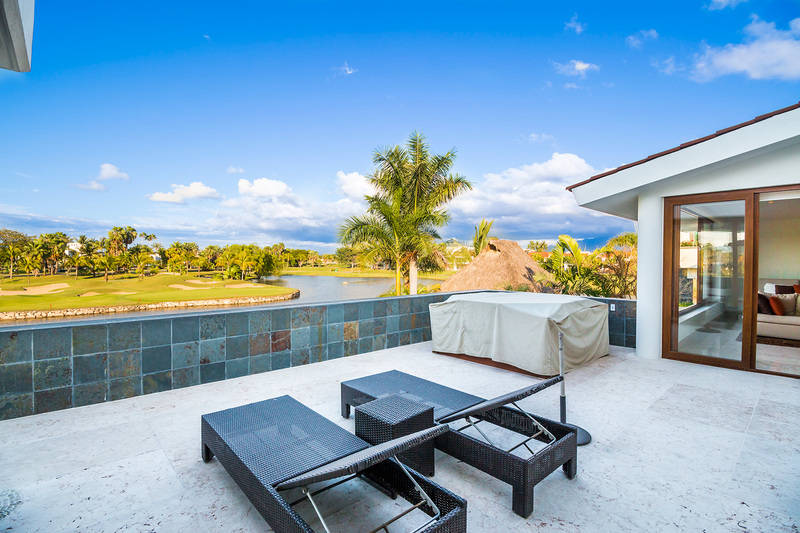 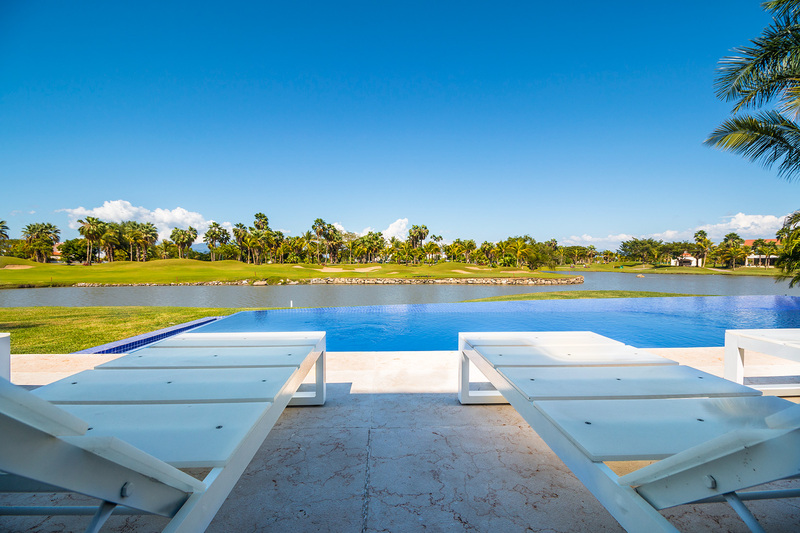 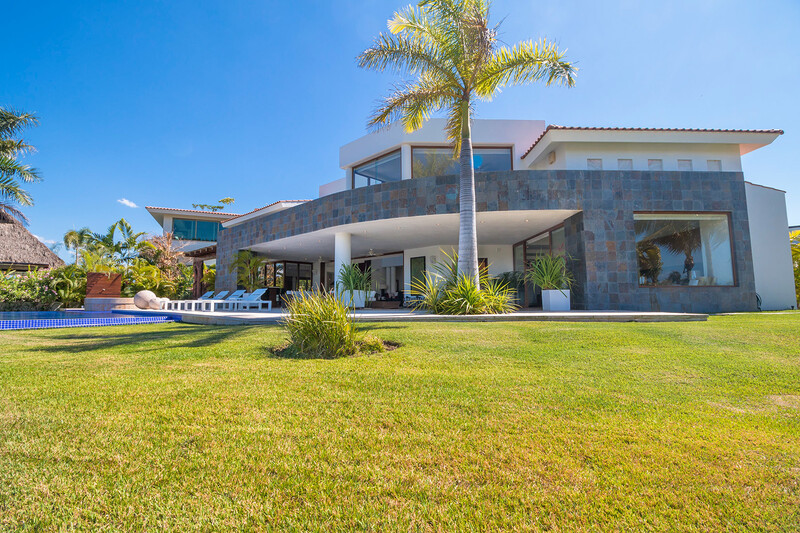 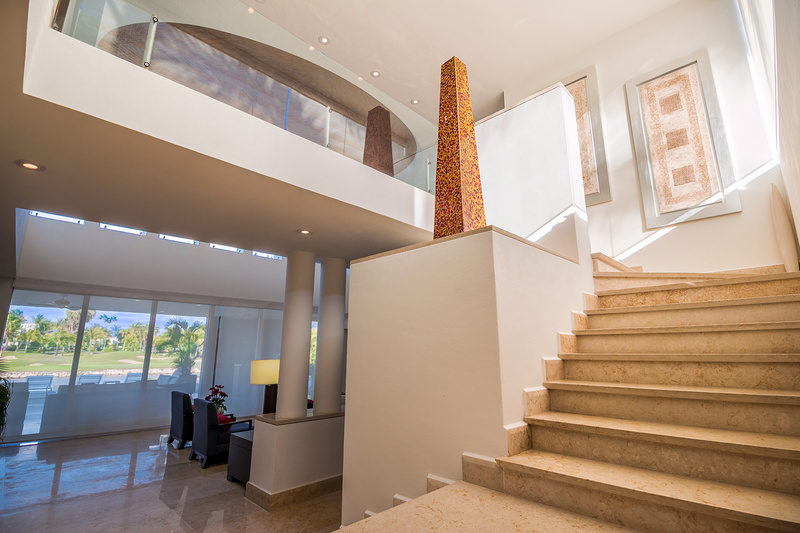 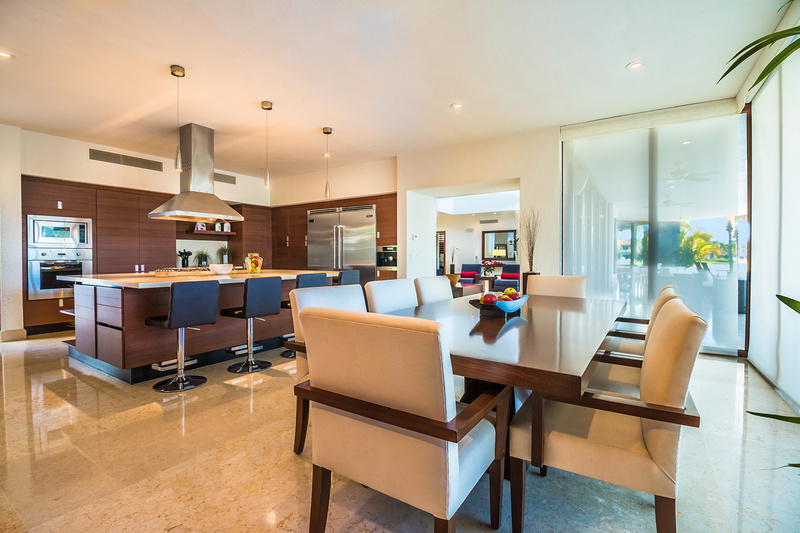 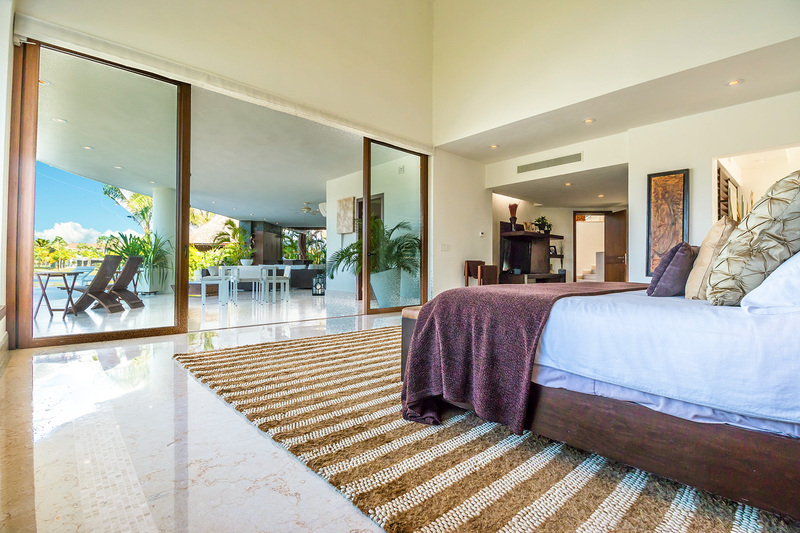 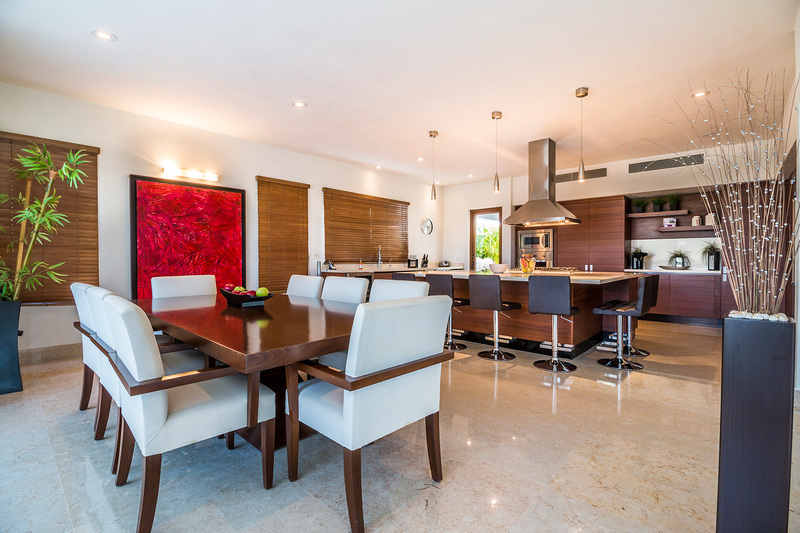 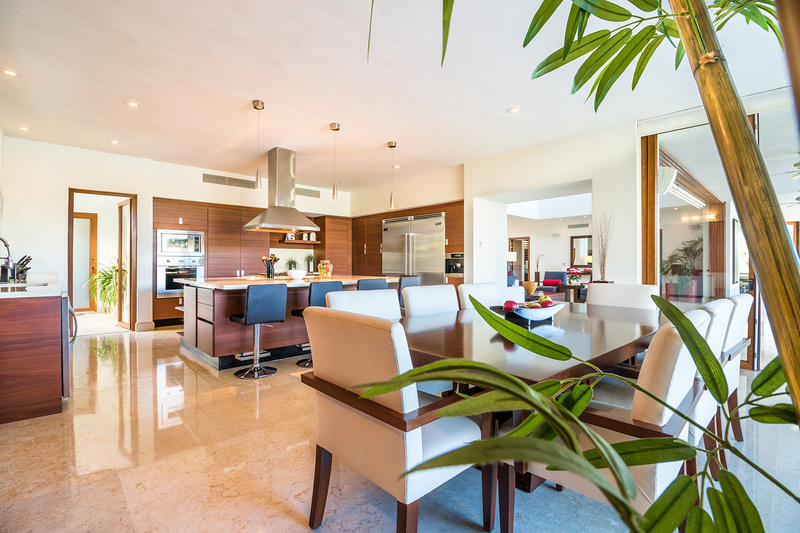 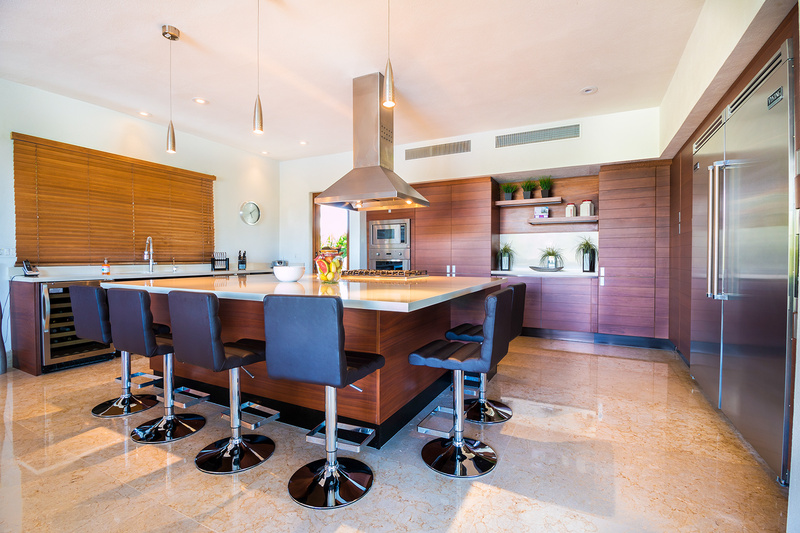 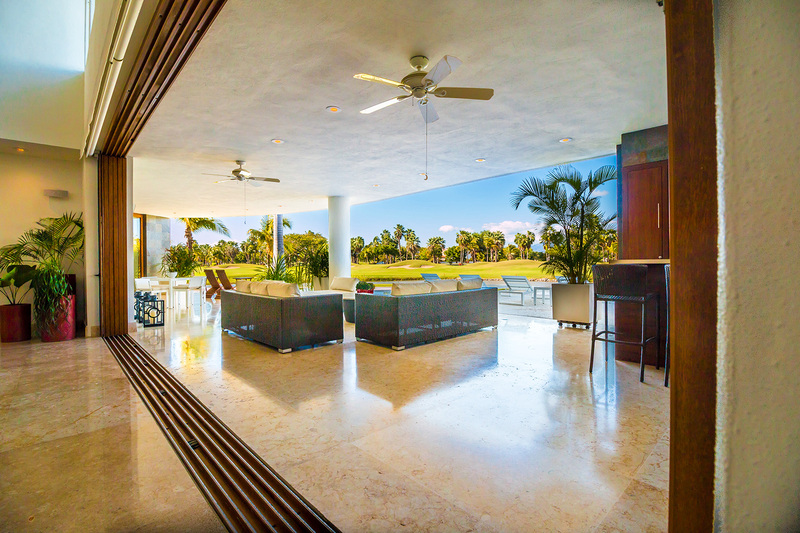 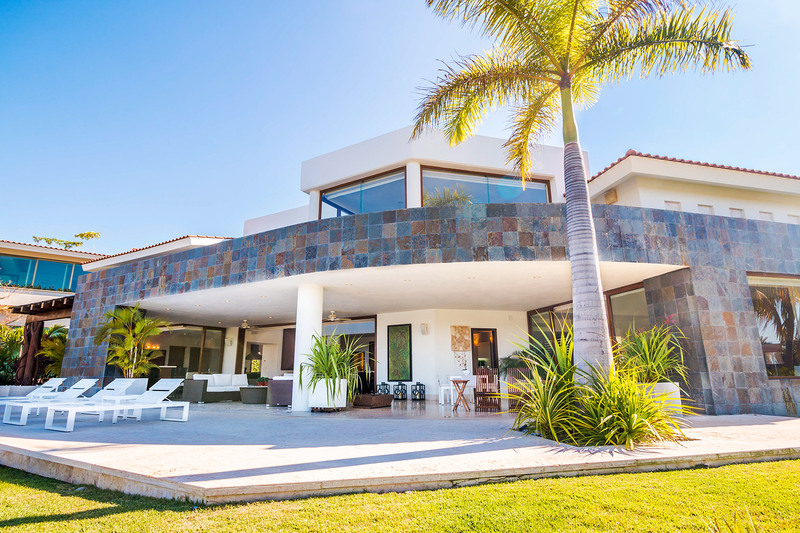 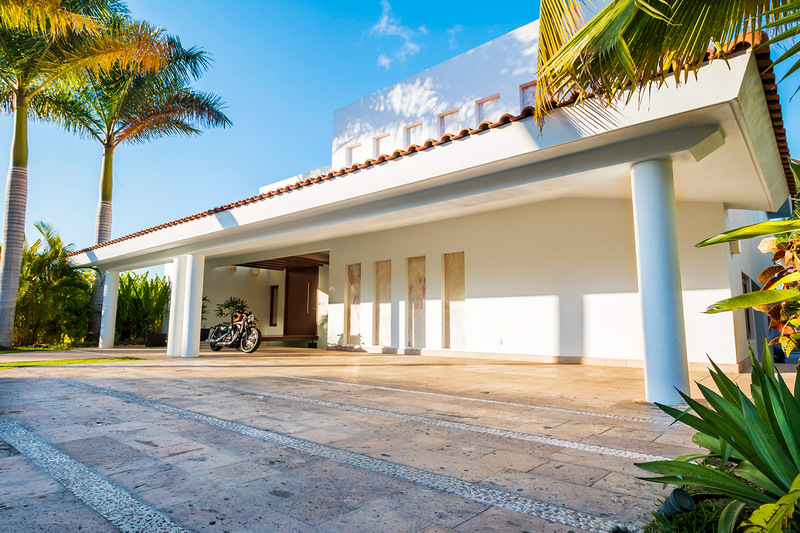 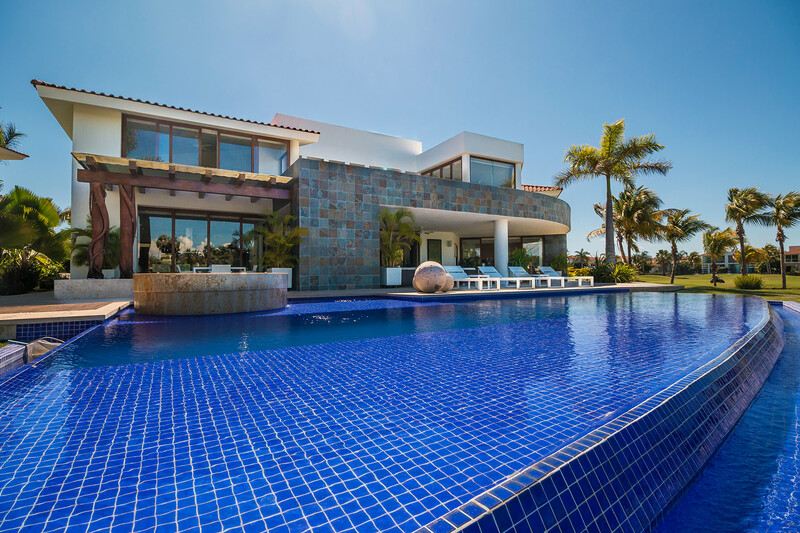 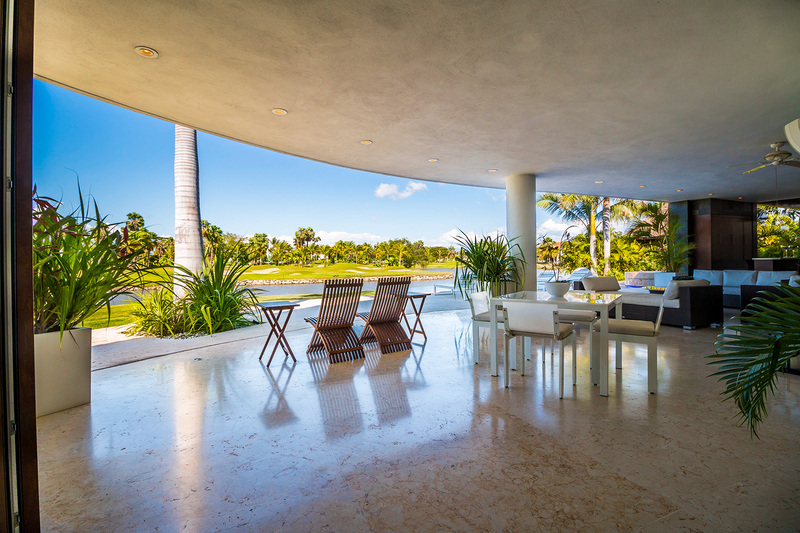 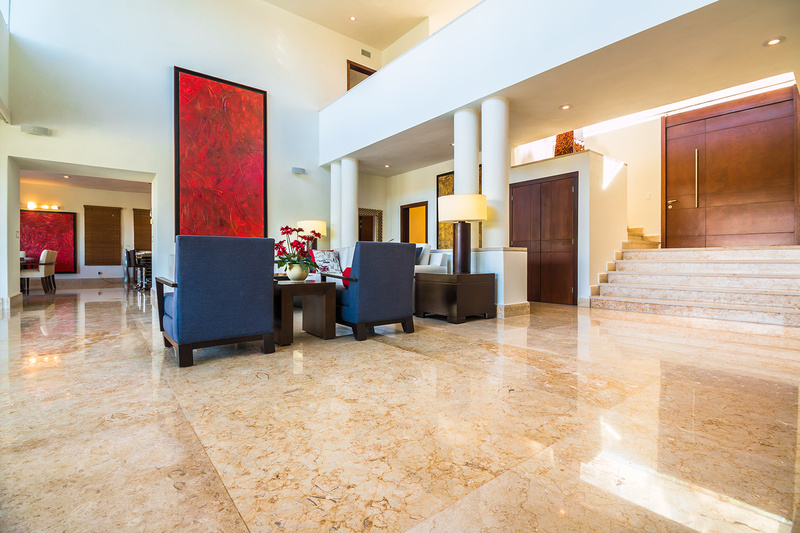 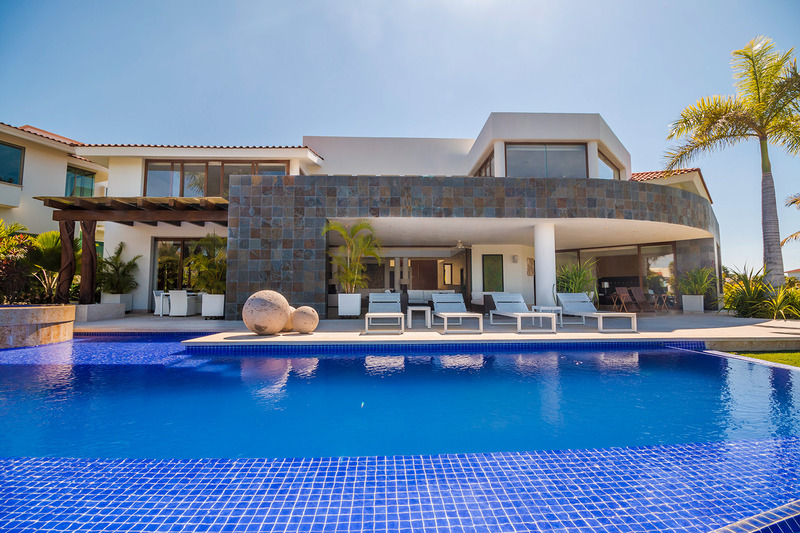 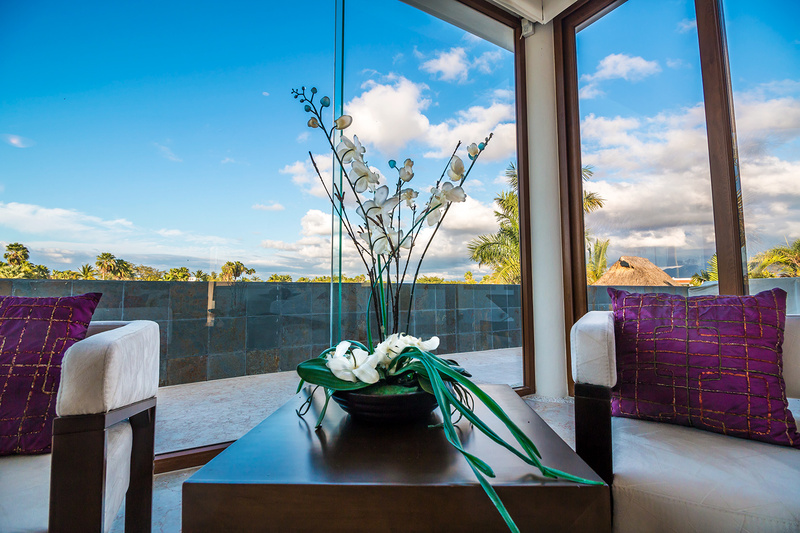 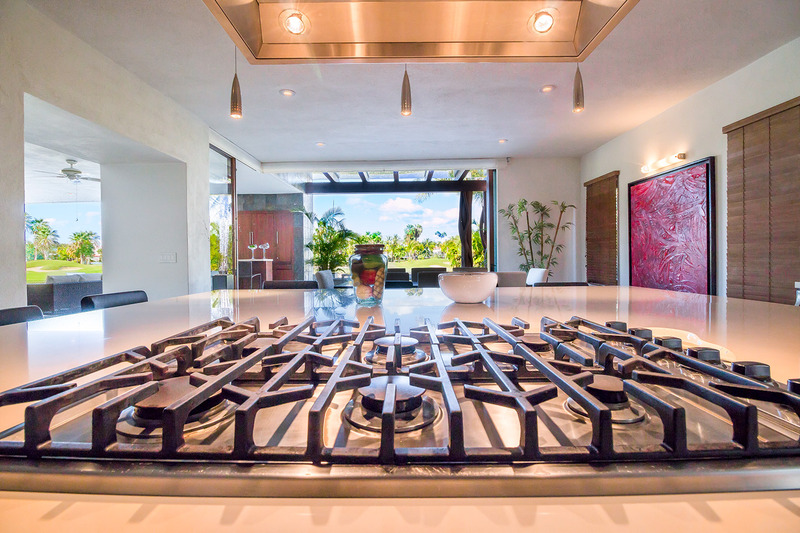 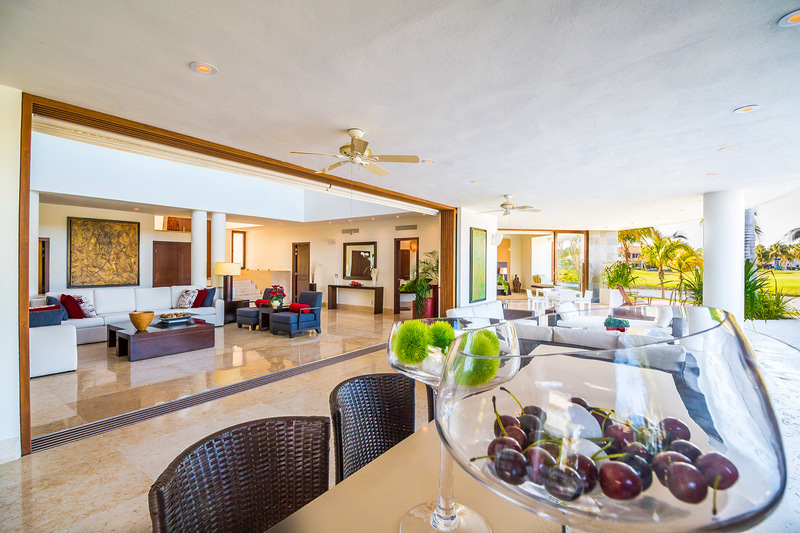 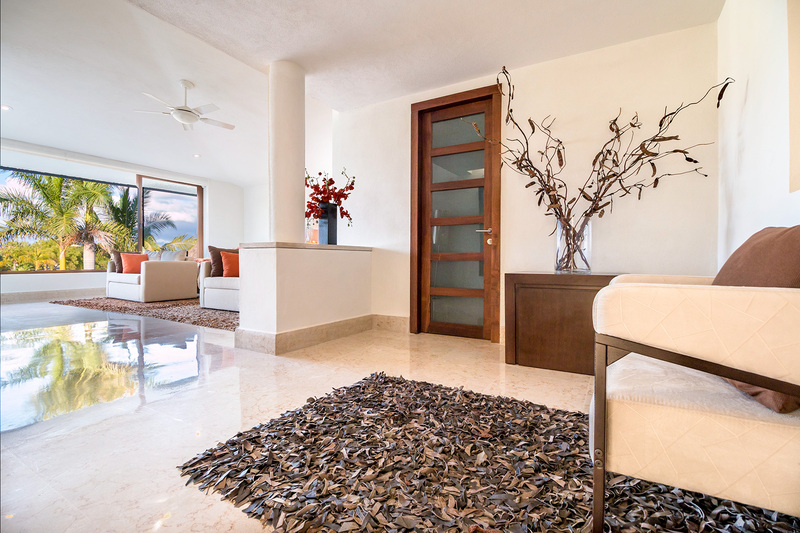 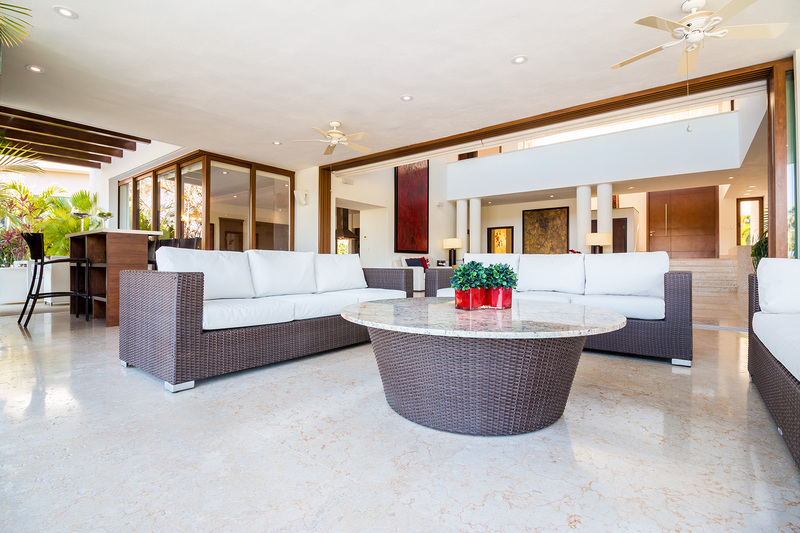 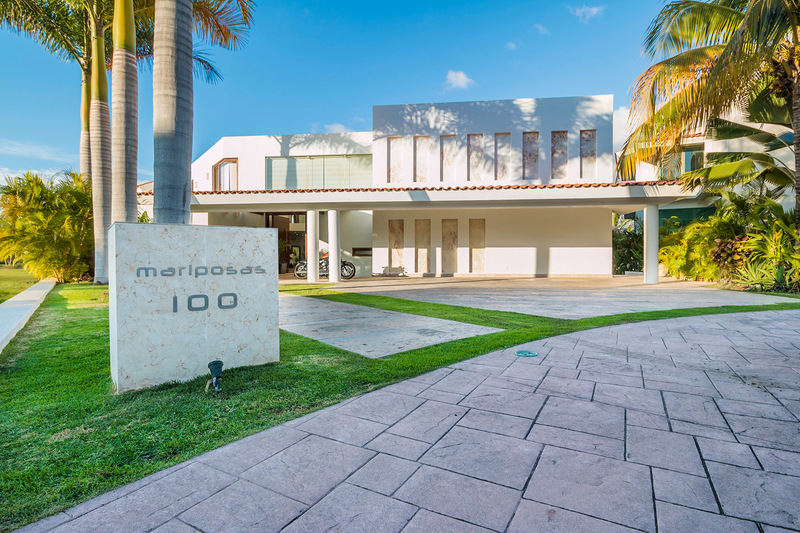 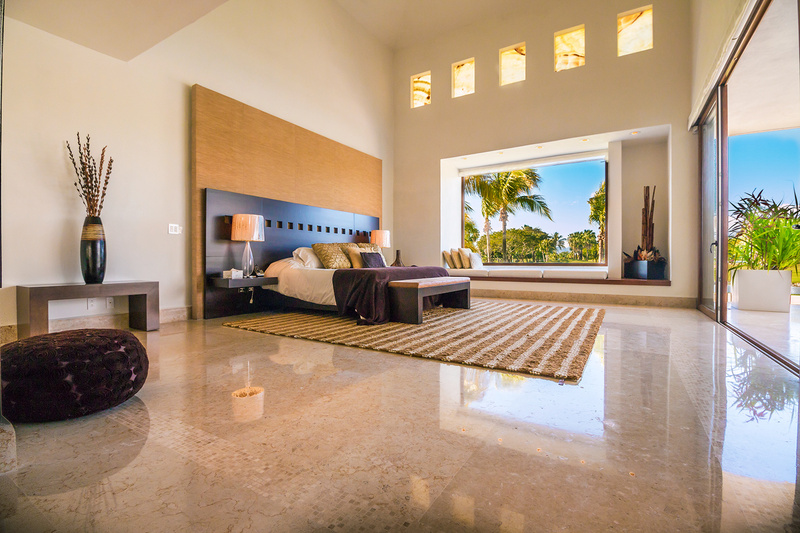 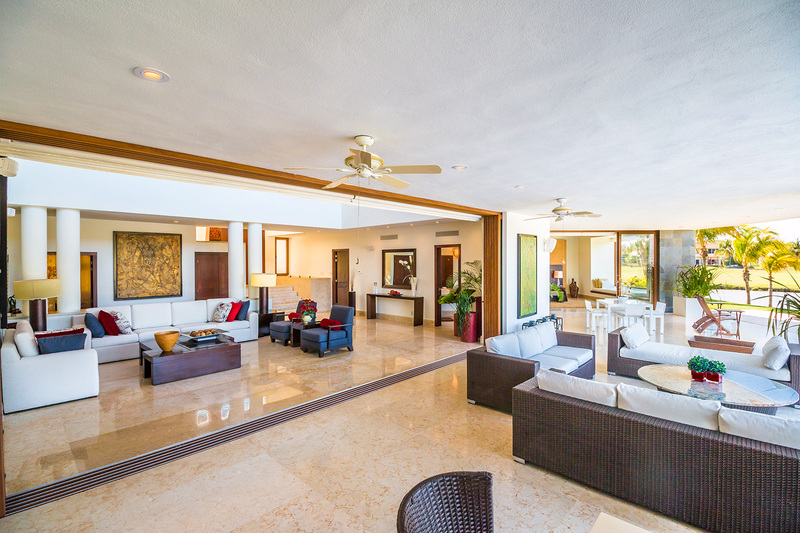 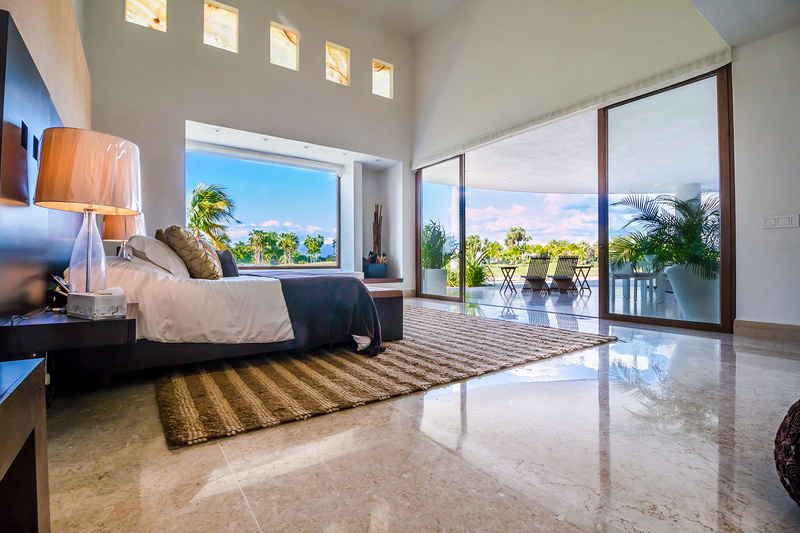 This single family estate is crowned with the choicest lot in the El Tigre Golf Course in Nuevo Vallarta as its encompassed by a pristine body of water. 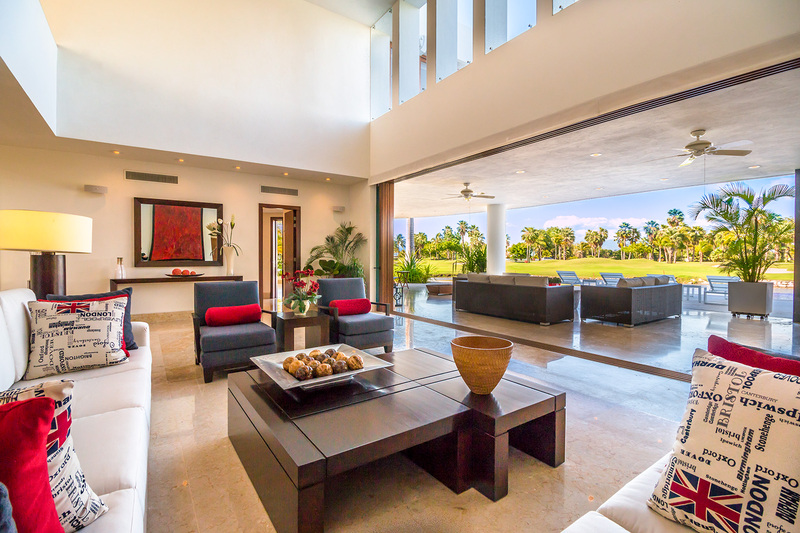 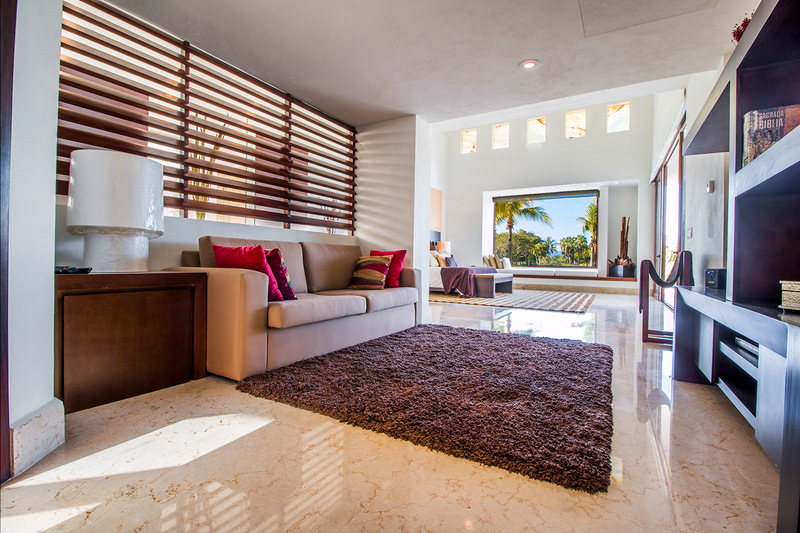 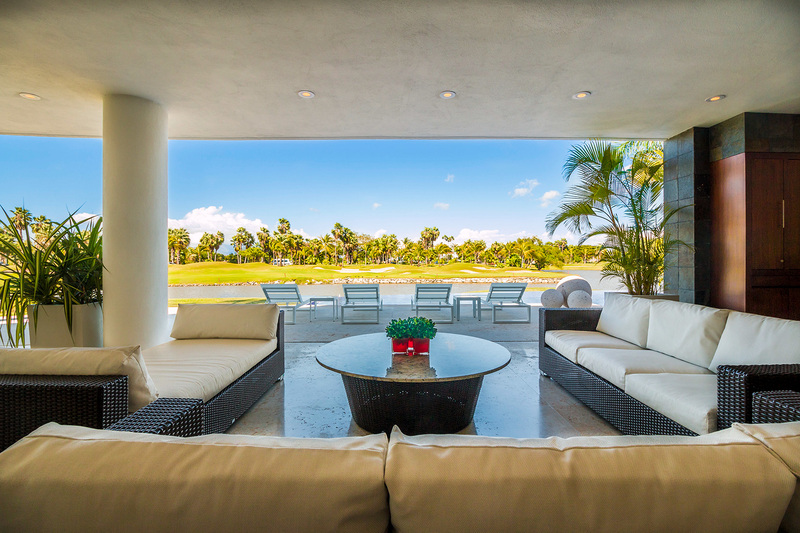 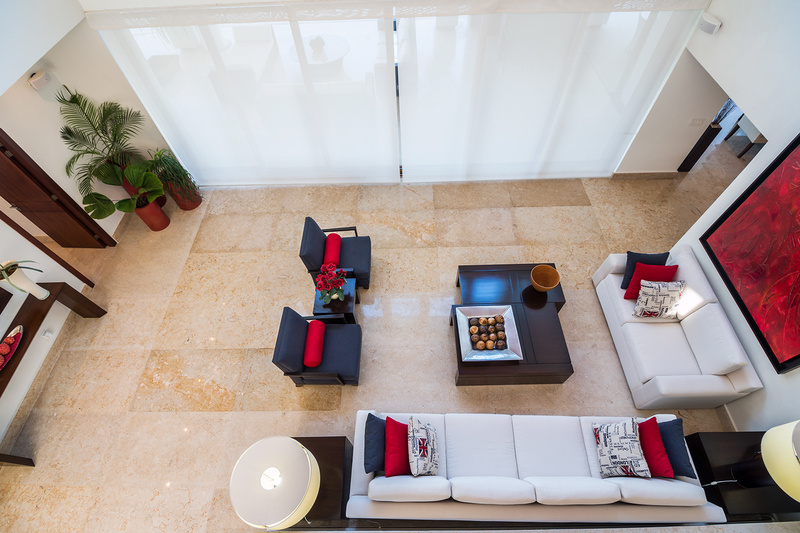 The beautiful living room is flooded with light and features a large Mexican boveda ceiling, marble floors and dramatic sliding patio doors. 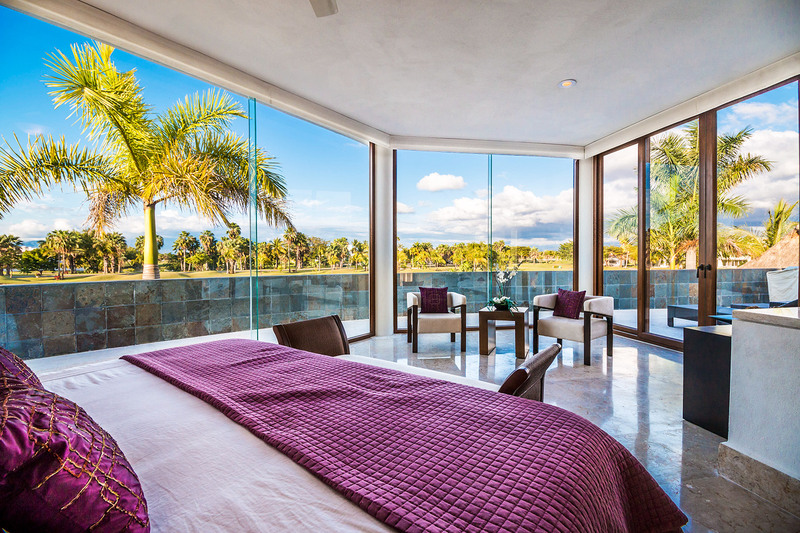 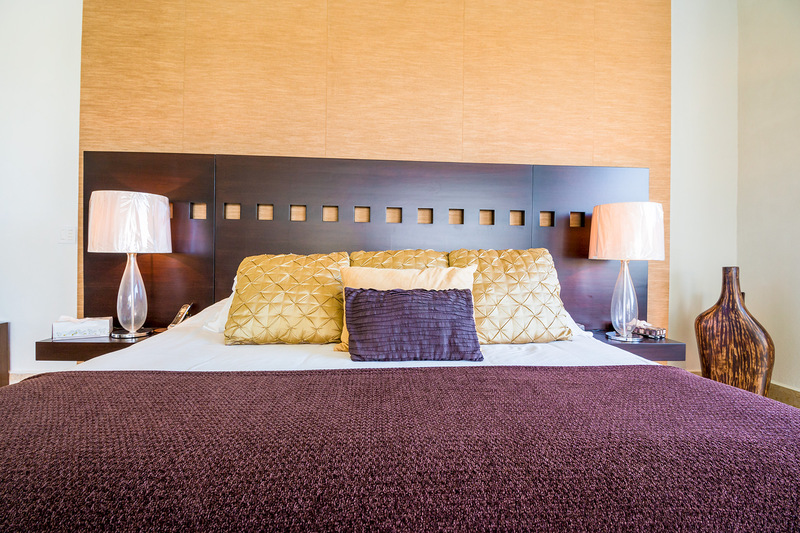 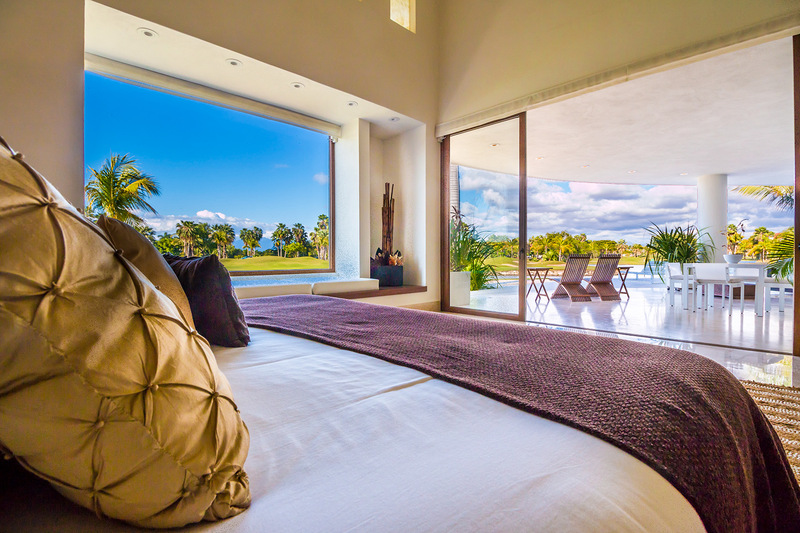 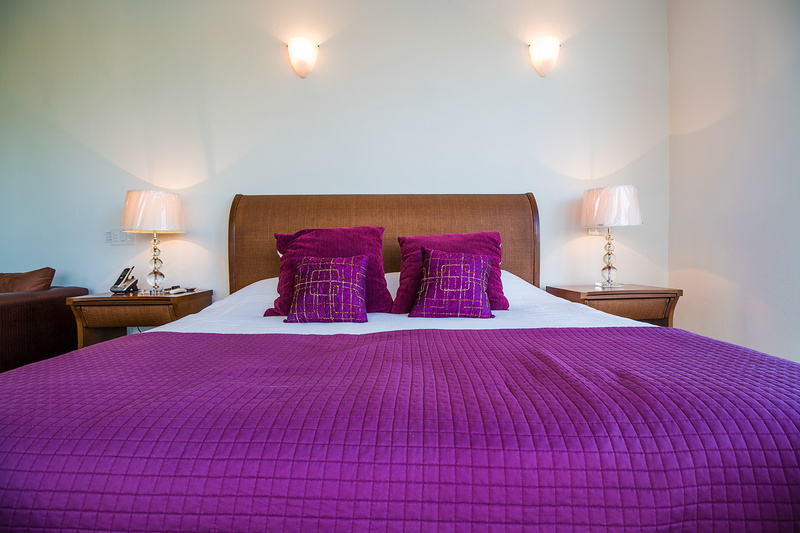 This property offers a system of intelligence with pre-ets to control the estate from every bedroom. 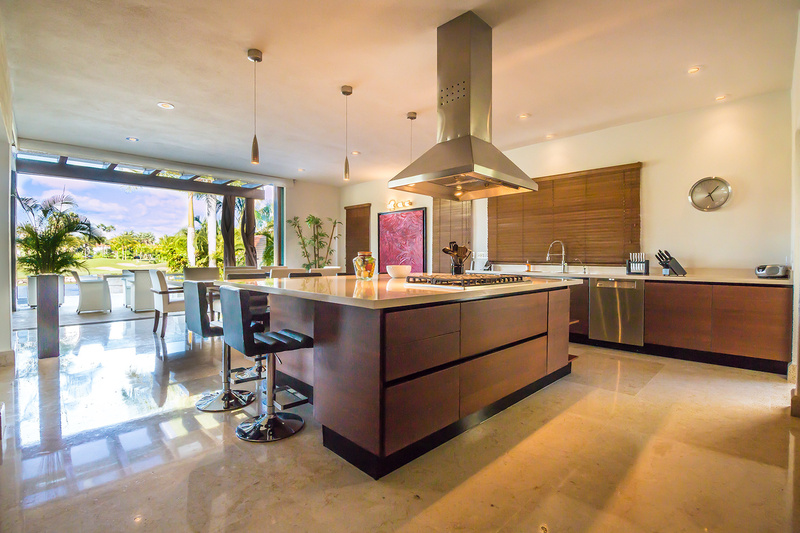 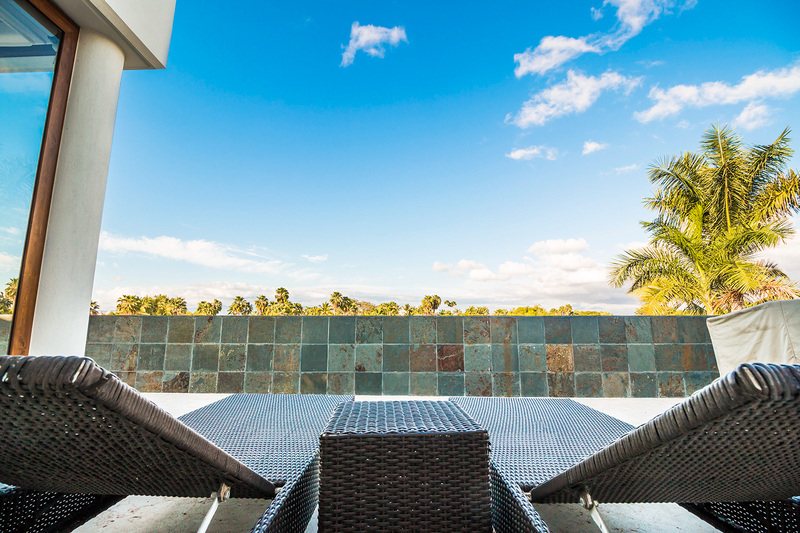 At the rear of the house looking out over the pool and Jacuzzi is the fabulous gourmet kitchen complete with granite countertops and professional Viking appliances including a brand new double doored stainless stele Viking fridge. 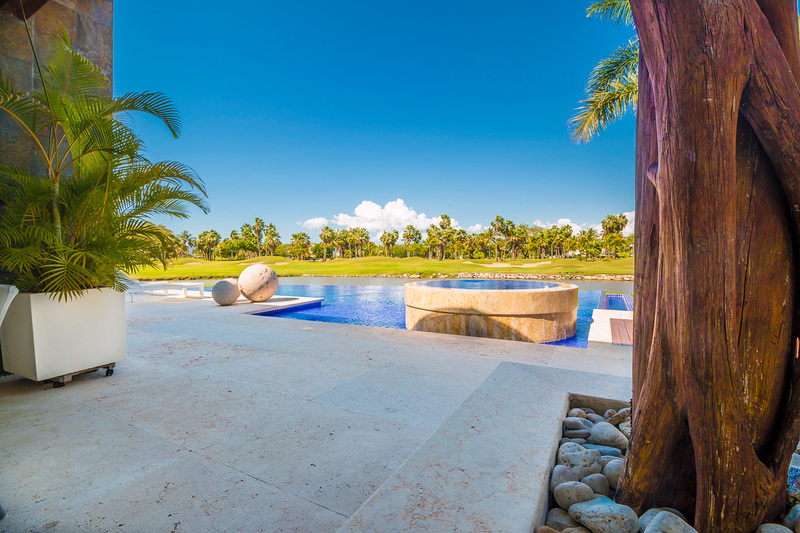 The spectacular backyard allows great space for entertaining, family fun and relaxation, complete with lawns, patios, pool and Jacuzzi. 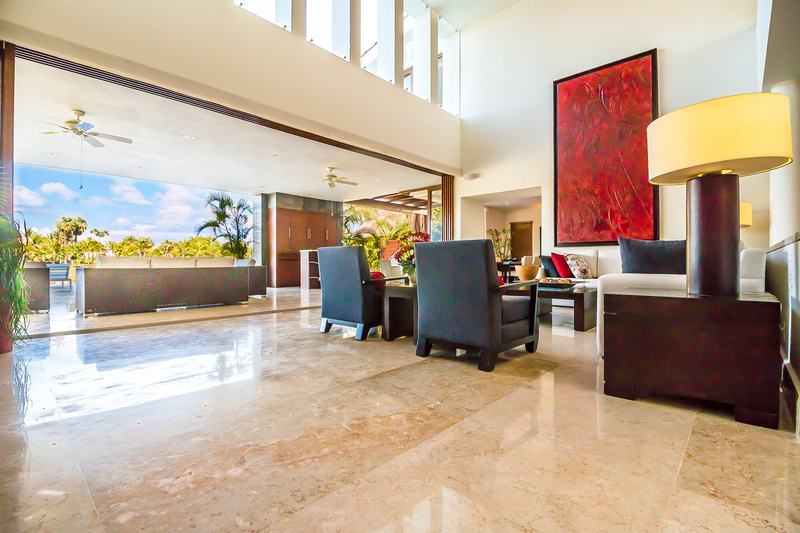 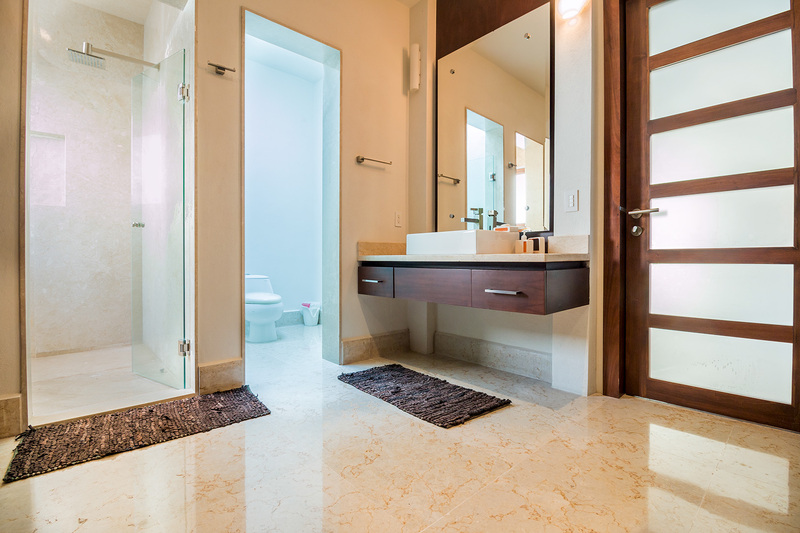 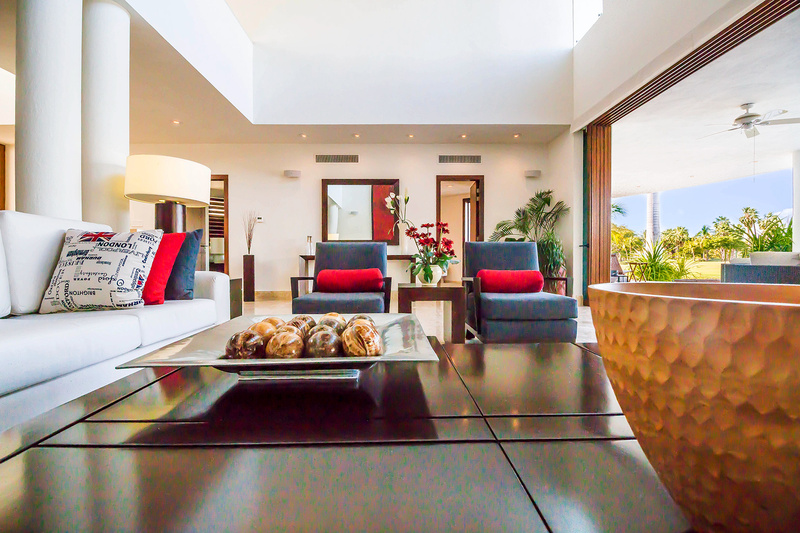 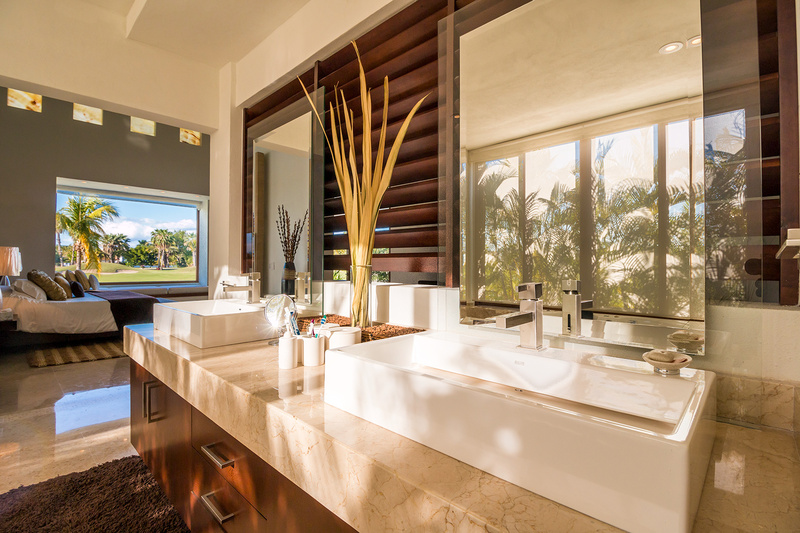 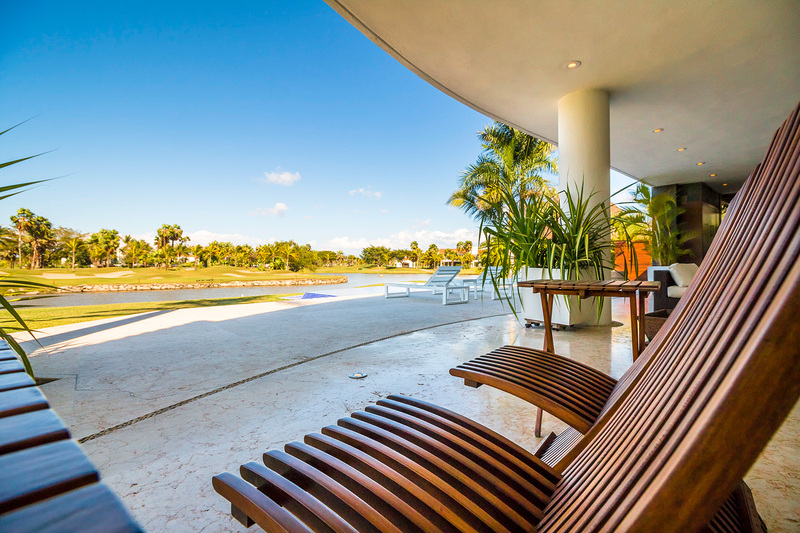 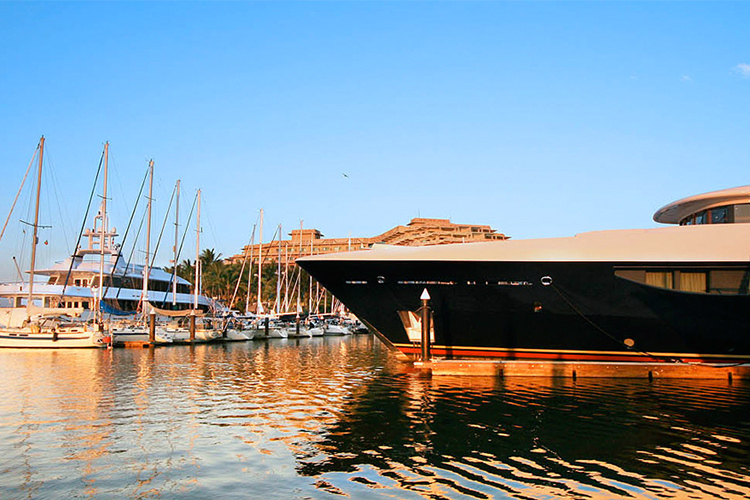 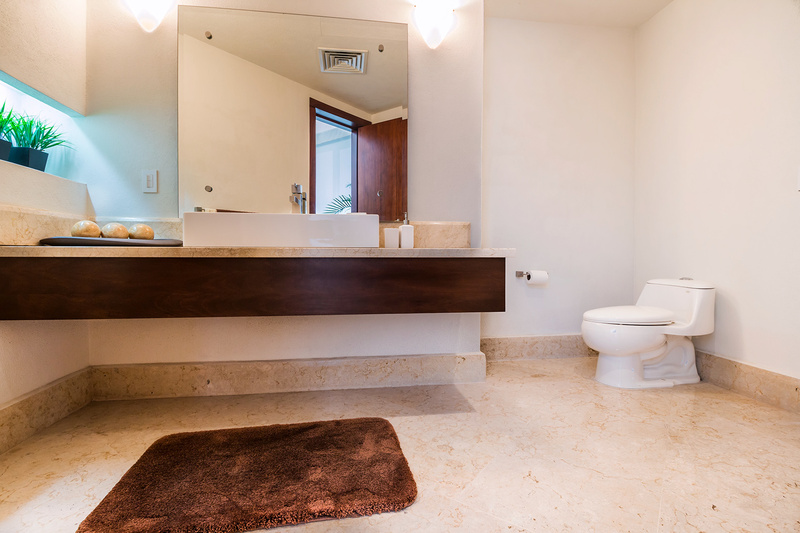 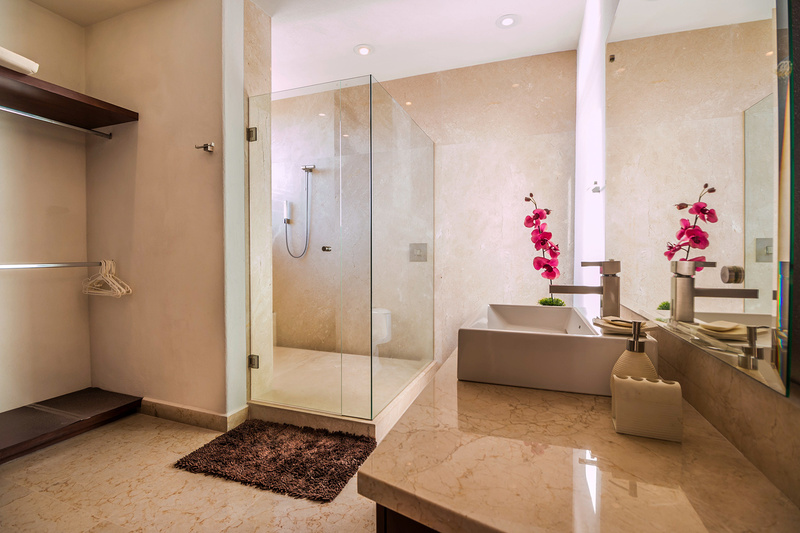 This impeccable property measures up to all and any expectations. 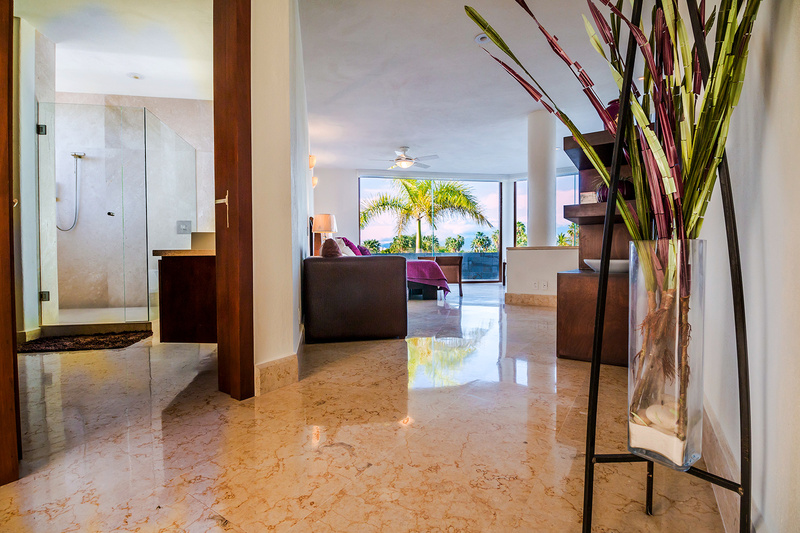 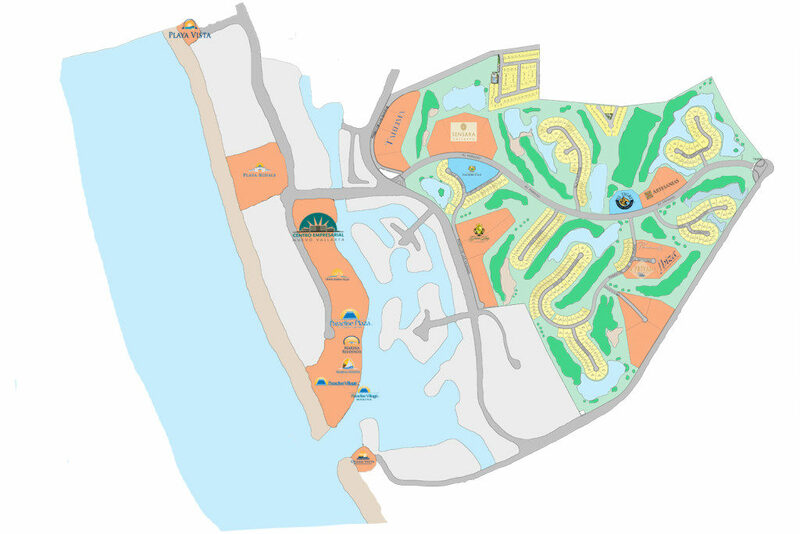 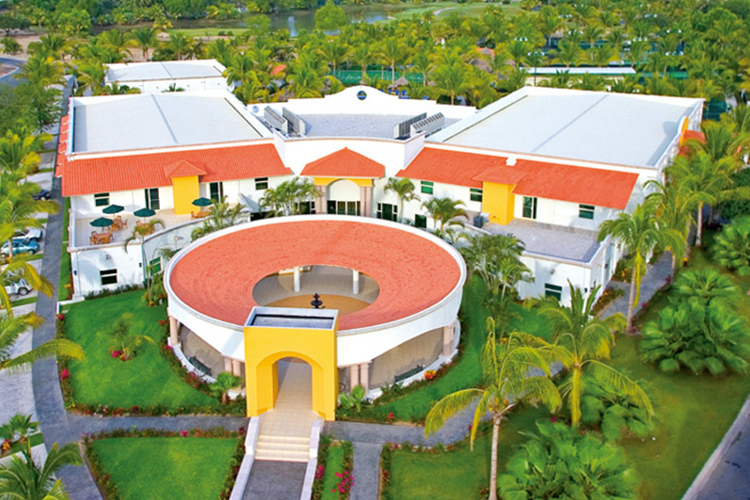 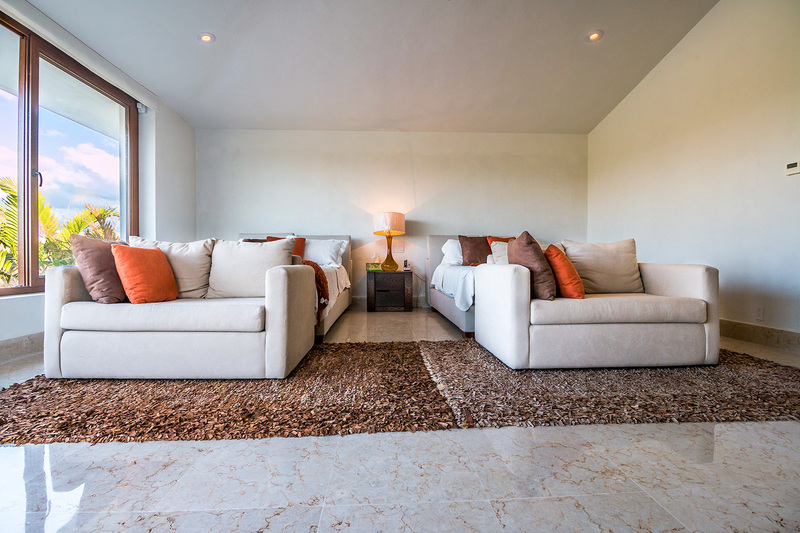 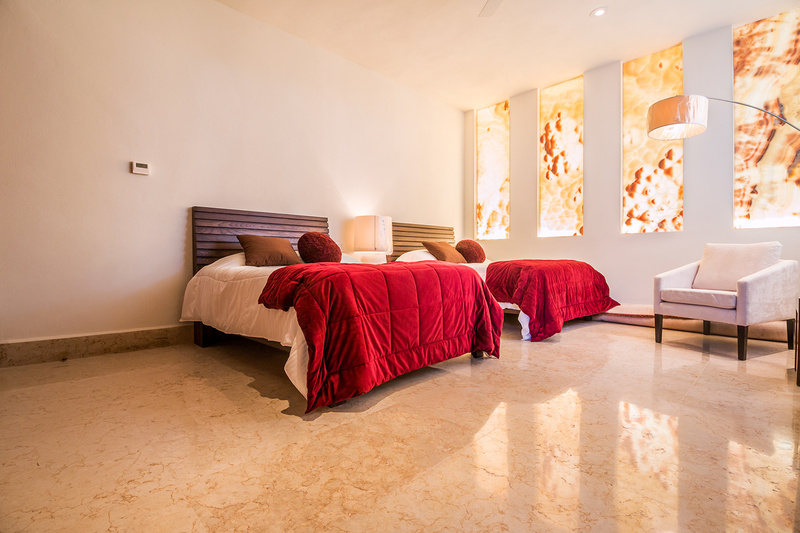 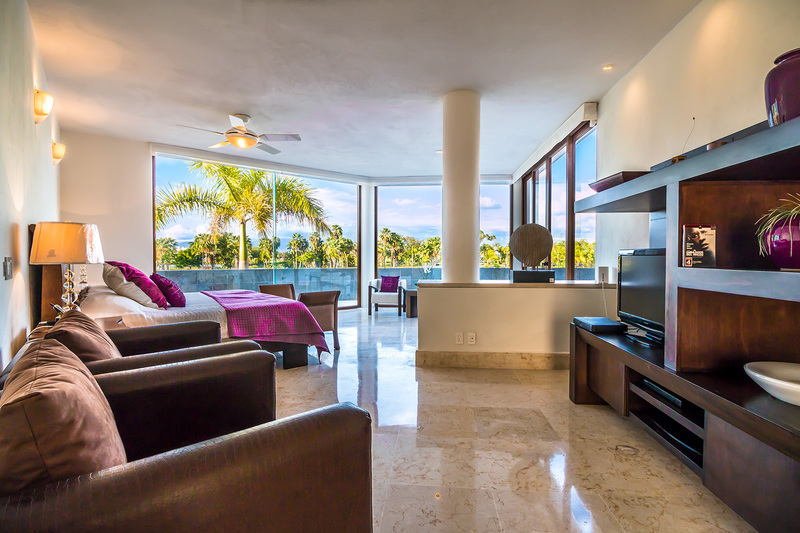 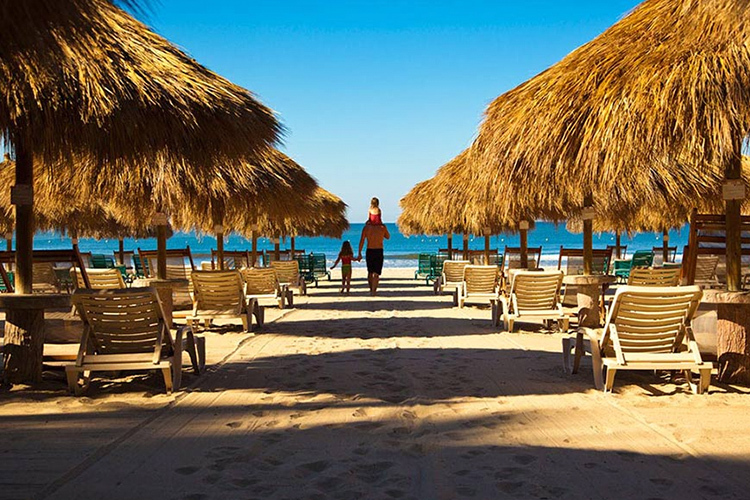 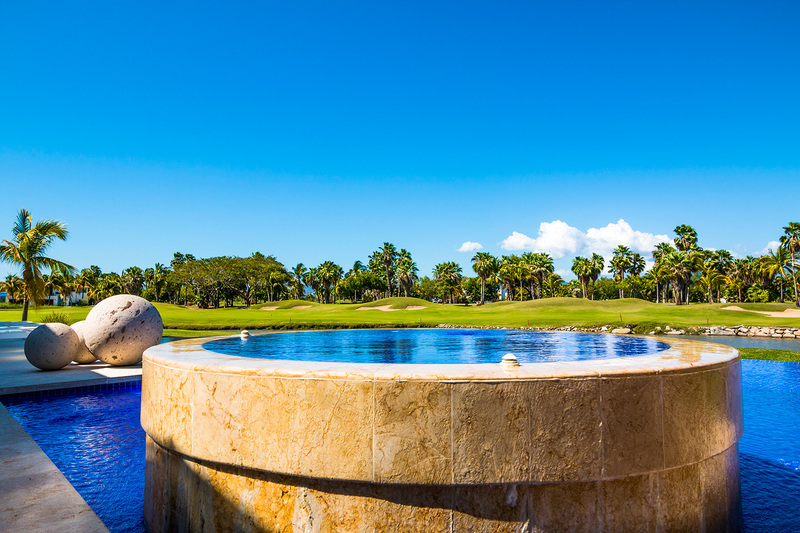 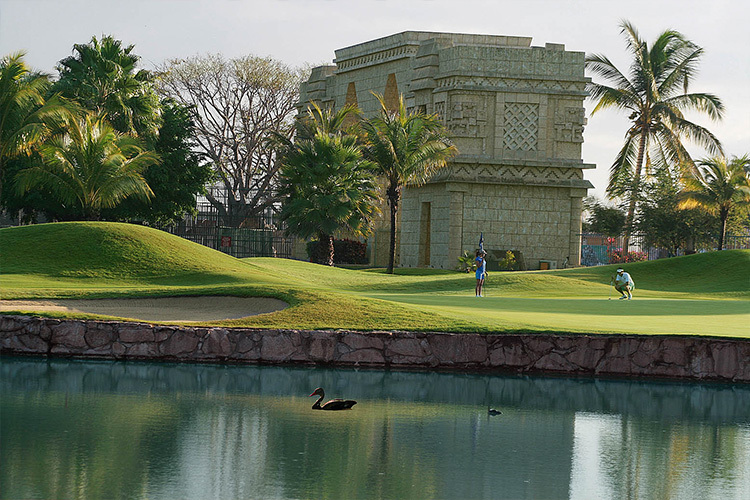 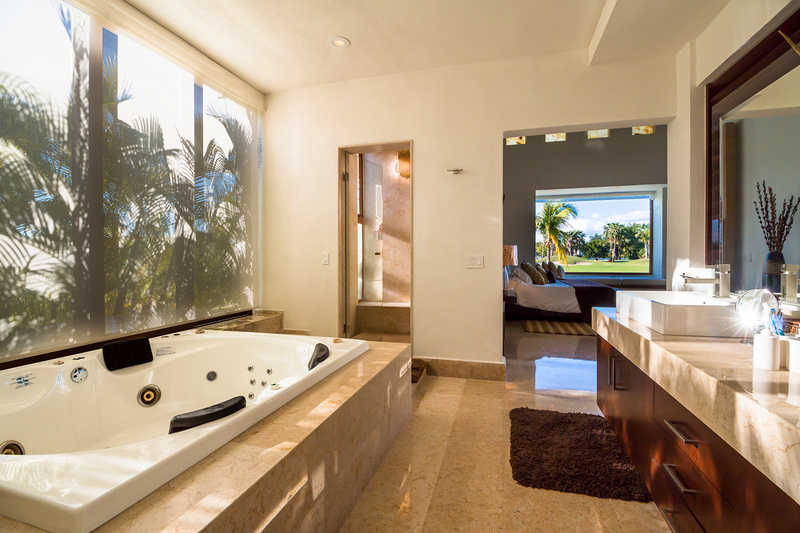 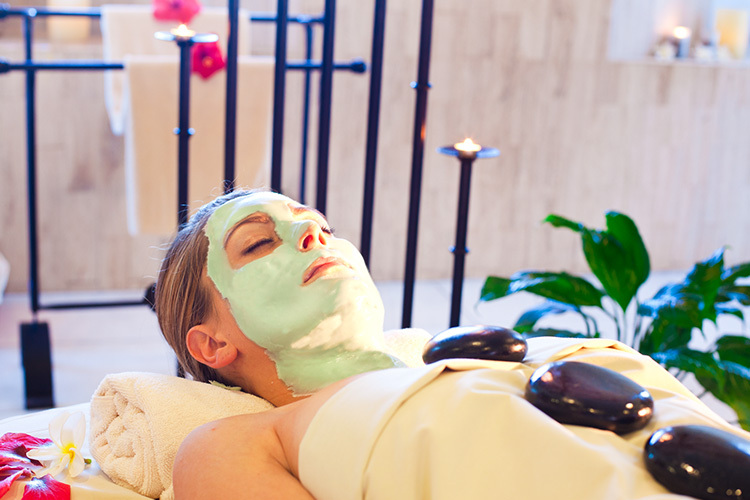 Being located within the El Tigre Golf Course in Nuevo Vallarta, privileges it with the social membership, which includes access to the sports & racquet club, European spa, Beach Club and 50% discount on golf rounds.